The epitome of high street shopping and often a visitor's number one stop in London, Oxford Street is lined with over 300 shops for a mile and a half, making it the busiest shopping street in Europe. Here you'll find Topshop's flagship store, the largest fashion store in the world, amongst an abundance of other fashion shops, independent boutiques and department stores. Selfridges is a very popular attraction on Oxford Street and its spectacular window displays almost qualify it as a city landmark. Open seven days a week, Oxford Street is always crammed with hasty locals with somewhere to be and dawdling tourists taking it all in. 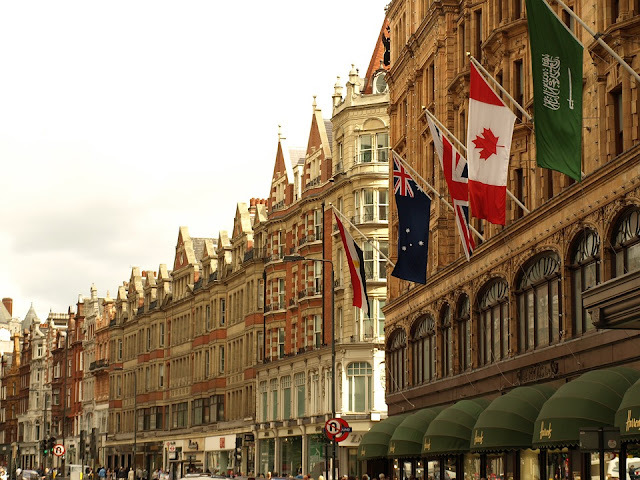 Weekends are especially hectic, therefore, walk the mile and a half, explore the popular side streets of Regent Street and Bond Street and take your time shopping elsewhere. 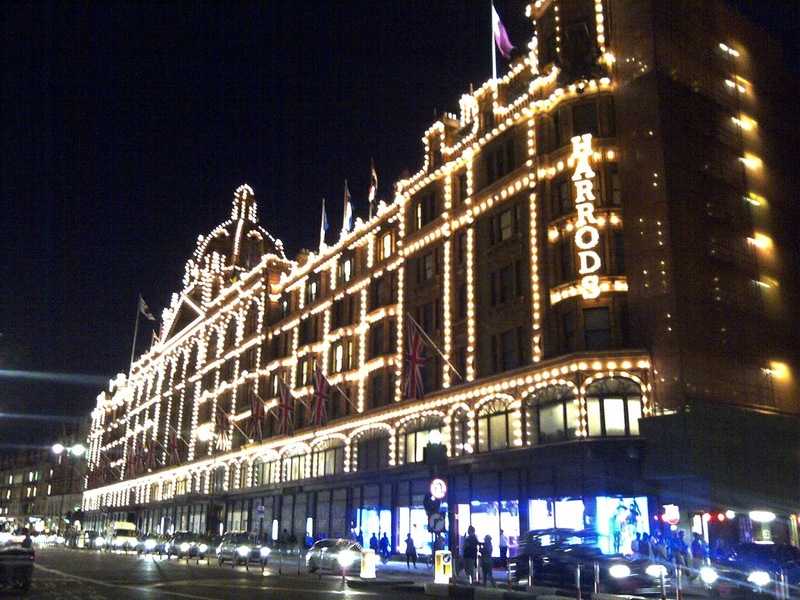 After all, London is one of the shopping capitals of the world and there are plenty of areas where you can shop til' you drop. Popular neighbourhoods for high street shopping include Knightsbridge, Mayfair, Marylebone, Kensington, Notting Hill and the entire West End district in general. Formerly host to many fashion events, this fashion hub's countless unique boutique shops tucked away behind Regent Street is a must-see for every visitor. Walk under the iconic arch and imagine the area during the swinging sixties, where it was considered one of the coolest hangouts and attracted a huge Mod and Hippie crowd. There's even a London-based musical based on it! Mayfair's historic lanes are home to London's most luxurious shopping. Louis Vuitton, Mulberry and Stella McCartney stores sit elegantly amongst the many exclusive major designer shops and specialist independent stores on Old Bond Street, New Bond Street, South Molton Street and, of course, the prestigious Saville Row. Located in Stratford in East London and White City in West London, these partnering shopping malls house most international brands, impressive food courts and leisure facilities. The former was built for the 2012 Olympics and is the biggest urban shopping centre in Europe. Once a department store in the 19th century, this Edwardian shopping centre now houses a number of modern high street and designer stores, a food court, bowling alley and a cinema. This upmarket department store hardly needs any introduction. Take a day to walk around its one million square metres of selling space and explore its 330 departments. Check out the Food Hall & take a break with a hot chocolateat the Godvia Chocolate Cafe. Another household name, Harvey Nichols, is just around the corner from Harrods and is typically less busy, attracting a younger clientele.The Fifth Floor Champagne Bar (guess where) is a smart hangout - try 'The Knightsbridge' cocktail. One of, if not, the most renowned market in the world, Camden is a bubbly, vivacious and dynamic area famous for its colourful, alternative and outrageous fashion. 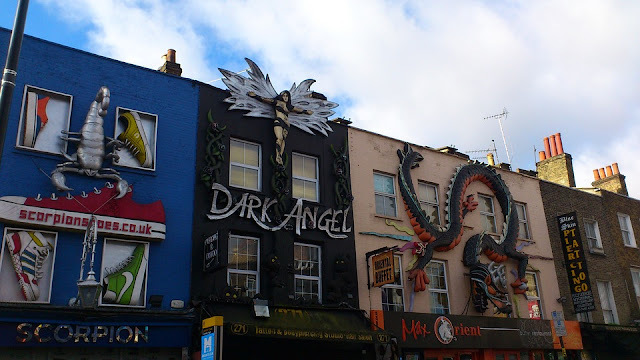 Also known as 'Camden Lock', the area is made up of a number of stalls and roadside shops selling a variety of crafts, clothing, accessories and home furnishings from gothic threads to fluoroscent club wear. The market is always bustling with crowds and activity and is the main punk and gothic area of the city. Everything from techno to metal and 60s soul can be found here. Attracting over 100,000 people every weekend, Camden Market covers a vast area from Camden Lock, Regent's Canal, The Stables Market, Camden Lock Village, Buck Street Market, The Electric Ballroom and Inverness Street Market. With an eclectic atmosphere, this market is a treasure trove not to be missed. 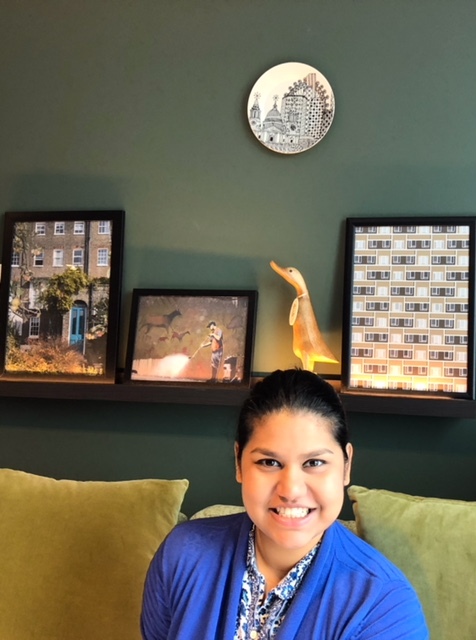 Break from rummaging the hoards and perch on a bike seat with some market street food, or have a drink in The World's End pub, located next to Camden tube station. This mile-long, 150-year-old market on Portobello Road is one of the many true highlights of the capital and the biggest attraction of Notting Hill. 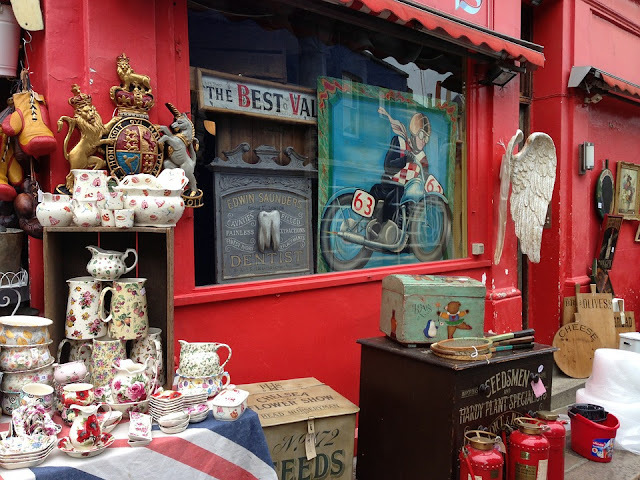 This world renowned antiques market is the biggest of its kind in the UK. Full of character and forgotten treasures, fashion, food and music enthusiasts are all well-catered for. Open six days a week (closed on Sundays), the busiest and liveliest day is Saturday. This cosmopolitan market in the centre of Brixton in South London offers a range of goods, characteristically of Eastern origin, and encompasses Brixton Station Rd, Electric Avenue, Popes Rd and the surrounding arcades (Granville, Reliance and Station). Open daily but closed on Sundays. A foodie's favourite all year round, this popular food market is one of the oldest in London and is enjoyed by the masses daily Monday through to Saturday. Common fresh produce comprises meat, veg, cheese and wine selections, while a large number of the more interesting of the 70 stalls specialise in certain products and sell food that's been imported from all over the world. The Old Truman's Brewery houses a vibrant Sunday market with a unique vintage and boutique set up. But what really sets this apart from the rest is the surrounding restaurants and street stalls selling tantalising curries. London's oldest market (over 400 years old) was once a hangout for art students and celebrities like Jarvis Cocker and Kate Moss. It now largely attracts people from all walks of life to its Victorian steel-roofed hall. A concoction of bric-a-brac, antique and vintage goods, organic food, and more modern fashion are on display daily. Whilst most markets are closed on Sundays, this is when Spitalfields is most alive and kickin'.